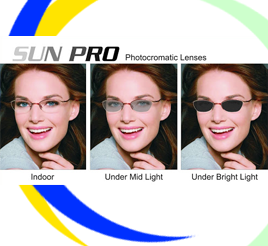 Nirisha Optics was started in 1993 as a Distributor for lenses in Ahmedabad city of Gujarat by Mr. Sanjay Sanghavi. He was the first generation of entrepreneur with ten years of working experience in optical industry, later he was joined by brother Mr. Nikunj Sanghavi, who is qualified as Mechanical Engineer. Nirisha is known for its dynamic marketing approach, it has marketed many new products in span of 5 years. It was the first to introduce the concept of good quality Broadband Glass Anti Reflection (A/R) Lenses in Gujarat. In 1998 Nirisha took distribution for Essilor lenses and started new chapter of HARDCOAT CR 39 lenses (TITUS), A/R CR-39 lenses (CRIZAL), Premium range of lenses. In 2004, Nirisha has set up its own RX Lab and started processing its own brand of lenses of various range. Since then Nirisha had never looked back. Nirisha is going ahead with all its achievements. Of late, "Nrisha Optics has set up it own hard coating machine with digital processing and with robotic arm from Norville,UK. This gives excellent hardness of international standard".